Ralph Waldo Emerson says -“The earth laughs in flowers”. It is true that the fresh flowers create a totally different aura everywhere. The pleasing fragrance from the flowers refreshes the mind and lifts up the mood. But flowers can be really expensive and regularly purchasing them turns out to be a costly affair. So today we are going to make some easy flowers out of felt paper that can help to decorate the home. Sunflowers are generally the happy flowers that can easily make you feel better instantly. So this video shows how to make sunflowers at home. Take a strip of brown felt and fold it into half and stick it together. Once it dries cut small parts as shown in the video. 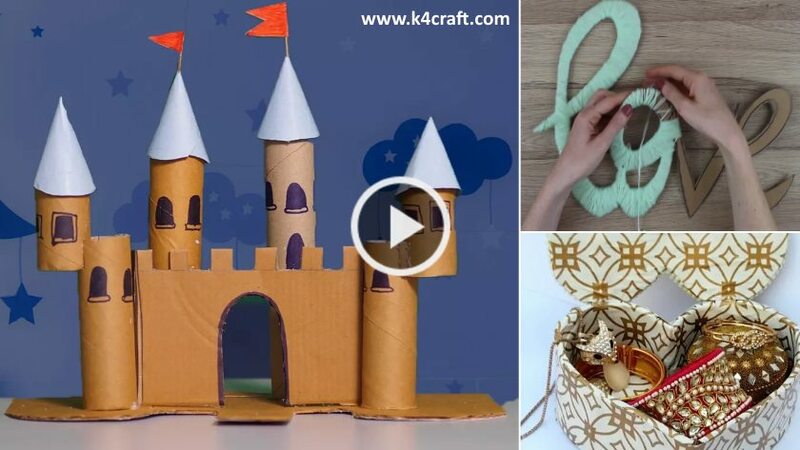 Similarly cut leaf shapes from green felt paper and take a circle shape cut out of green paper and cut it like a flower as shown in the video. Start sticking the petals to the brown felt paper by tweaking them at the center. Turn the flower upside down and stick the wire to the base and than stick the green flower shaped cut out on it. Now you can stick leaves at the bottom of the wire. The sunflower is ready. You can decorate the office desk by sunflowers of different colours. This is the most attractive felt flower and really easy to make. Take small strip of pink felt papers and fold it front back as shown in video and stick the ends with glue. Now stick all such strips together to form a circle and this will be the center of the flower. Take a circular cut-out and make a small cut at the center to insert the wire. Cut petals from the felt as shown in the video and start sticking them around the center. Make sure the alignment is perfect. Make one more round of petals with alternating distance. The flower is ready and you can create variations by adding colourful petals in each round. This is easiest flower and can be made in no time. Take the outside end and start rolling it inside and stick it at the end. Cut a small circle from the pink felt and two leaf shapes from the green felt. Now stick the clip on the circular cut out and then stick the entire flower on it. This is the simplest felt flower and looks really amazing when used on a hair band. Take a felt by yard and cut a strip of 13”* 2” inches. Now fold it into half and stick it as shown in the video. Start cutting small straight lines loops with intervals and roll them and stick them such that the loops look like a bloomed flower. Now stick this flower on a hair band or a clip securing it with a circular felt cut-out. P.S- Your kids are really going to love this fancy hair band. You can also use this flower in smaller size to make tiara. As shown in the video, firstly you have to cut flower with different petals and shapes. Once you have your designs are ready all you are going to need is simply the scissor and some glue to fix it all. Cut the different templates of flowers in spiral shape and roll them inwards and stick the ends. Now take the leaf cut out and stick at the bottom of the flower. 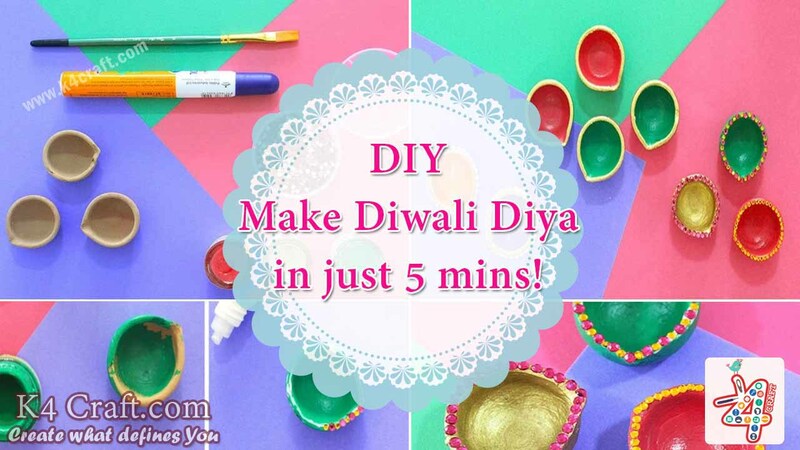 You can create different types of flower using this technique and stick them together on a cardboard to make a wall hanging or can also be used for mirror decoration. 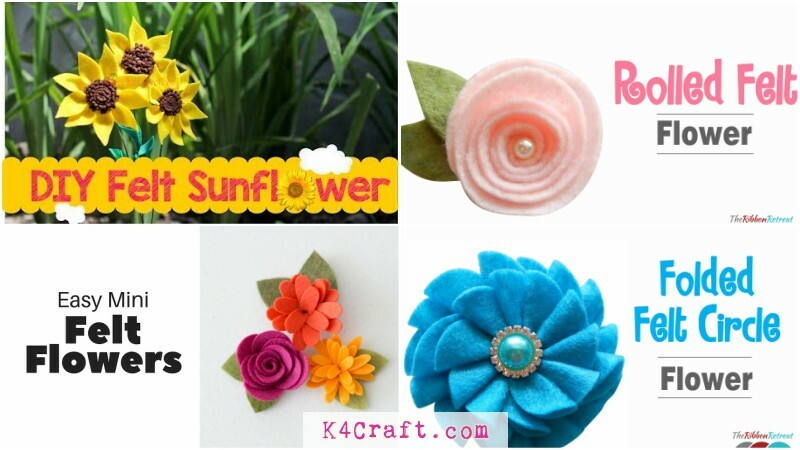 Folded Felt Circle Flower: As felt flowers are multipurpose, this flower can be used to decorate a dress as well as used on a hairband or can also be used as a brooch. Fashion pearls , pin, hair band or clip. You have to cut felt circles of sizes (1 ¾’ and 1 ¼’ ). You can purchase them also if you don’t want to cut them and save time. Take a circle and use it as a base of the flower, now take a thread and needle and fold another circle into half and start stitching it to the base circle. Once you have sewed the petals tie a knot and cut the thread. Now take the smaller circles for making another layer. Repeat the same process as done with the bigger circles and stitch it in the center. Take a fashion pin and stick it at the center with glue. Now take another circle and cut a loop from it such that the pin can pass through it and stick it to the base. Felt Flower Stems: This flower can be used as fillers or can be used in artificial bouquets or also for decorating the vase. You are going to need at least 35-40 tear shaped petals for this flower , so you can cut them beforehand and keep it ready. Take the wire and start sticking the first petal by pinching it such that you cant see the wire. Now simply go back and forth and keep sticking the petals such that the wire is not visible at any end. Keep sticking it in a symmetrical pattern , till you have reached a proper length and its ready. P.S- you can use different colours of petals in one single flower or can make individual flowers of each colour as required. 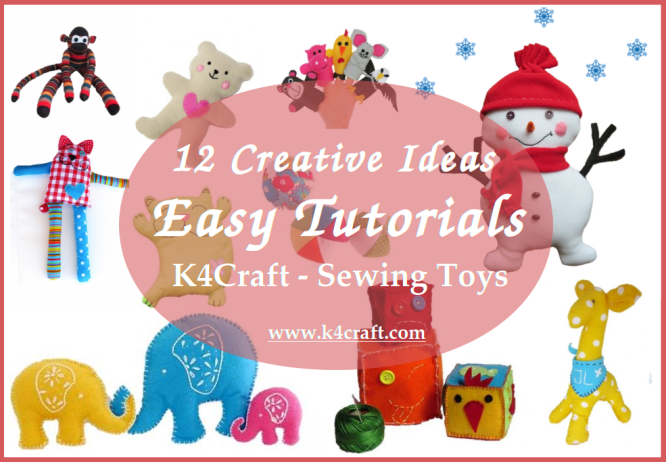 Take a felt sheet and fold it into two equal parts and place a cup or stencil and cut a circle. Cut atleast 7-8 such circles and out of which one circle is going to be used as a base. Take remaining 6 circles and fold them in two halves as shown in the video and start sticking it to the base in four parts. Now cut the tip of the remaining two circles and stick them to the center as shown in the video. P.S- Here you can stick two center circles of different colour to make a combination flower.